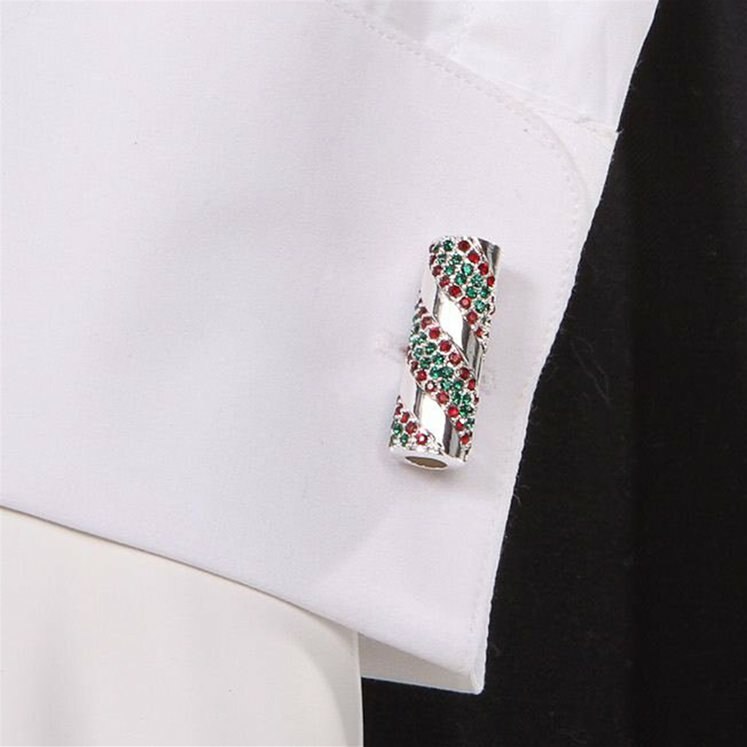 Candy cane inspired cufflinks by Gresham Blake. 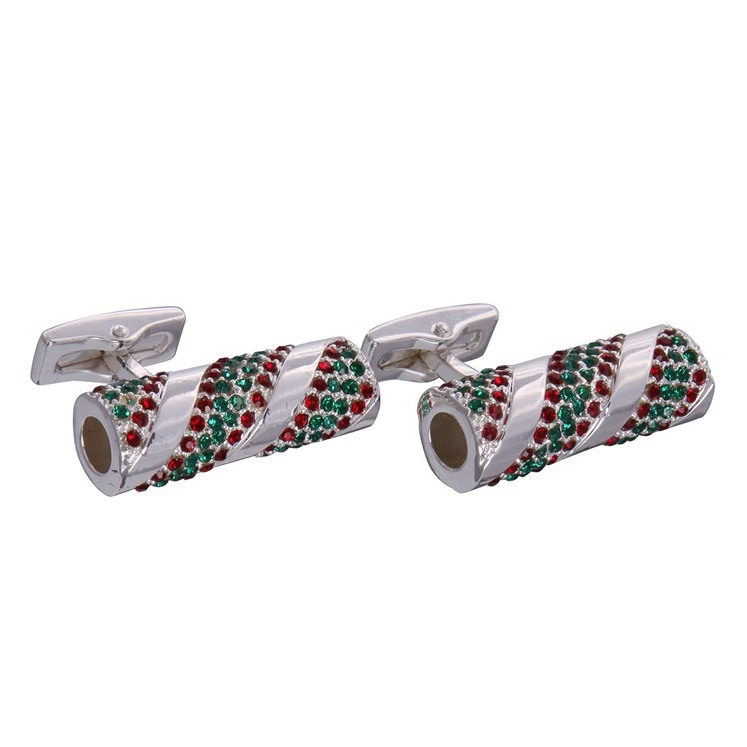 Rhodium plated brass with a polished silver finish, adorned with green and red gemstones. 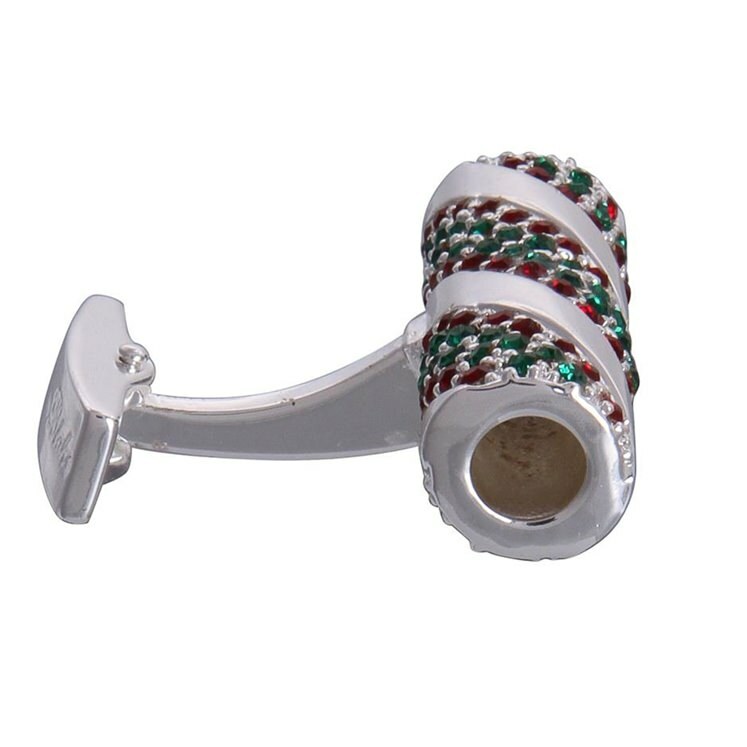 Just the thing to bring a bit of glamour to an outfit.